Tom Brady, the 41-year old quarterback from the New England Patriots, intends to play next season, which will be the final year of his contract. Brady is completing his 19th season in the NFL and he plans on coming back for number twenty. Earlier this season, Brady joined the exclusive 500 TD Club with Peyton Manning, Brett Favre, and Drew Brees. Last week, the NFL named Brady to the Pro Bowl for the 14th time in his career. If Brady had his way, he’d play until he is 45 years old. 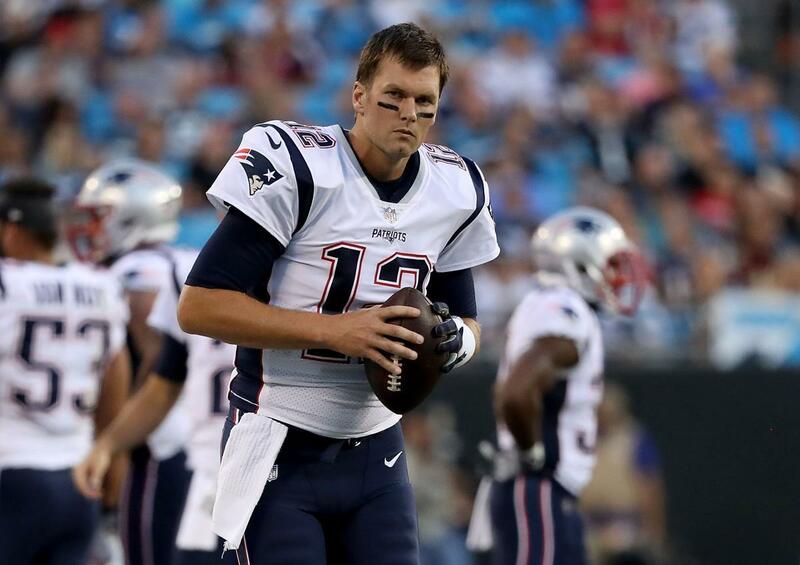 This season Brady has completed 65.4 percent of his passes for 4,105 yards. He tossed 25 touchdowns and 11 interceptions. Brady’s 2018 stats are slightly lower than his career numbers. Brady has not fallen off too drastically considering the thin ranks at wide receiver, the sudden departure and suspension of WR Josh Gordon, and a constantly-hurt Rob Gronkowski. It’s never a dull day when it comes to Tom Brady. Between Boston sports talk radio, social media, and local press in New England, there’s constant coverage of the future Hall of Fame quarterback. Last week, Brady had to snuff out rumors that he is playing with an MCL injury. If you ask any Patriots fan, they’ll swear that owner Robert Kraft traded away young quarterback Jimmy Garoppolo to the San Francisco Niners because he feared that Belichick would bench Brady in favor of Garoppolo. The Patriots do not have an heir apparent to Brady after trading Garoppolo in 2017, so there’s no legitimate competition for his job. As per usual, head coach Bill Belichick is not concerned with anything beyond preparing for the next game on the schedule. “Right now, I think it’s a one-game season here. So, we’ll just concentrate on the Jets and worry about next year, next year, worry about next week, next week, worry about last year some other year,” Belichick told reporters this week. The Patriots play the last-place New York Jets in the final week of the regular season. The Jets are competing for the #1 pick in the 2019 NFL Draft, while the Patriots are jockeying for playoff position in the AFC. The Patriots (10-5) clinched a playoff berth by winning the AFC East. The Pats are currently the #2 seed. Belichick and the Patriots struggled on the road this season with a 3-5 record, including the Miami Miracle heartbreaker against the Dolphins on the final play of the game with a double lateral. The Pats are unbeatable at home and are currently have a 7-0 in Foxboro. Only the Jets stand in the way of a perfect record home record this season. According to the South Point Casino and Sports Book in Las Vegas, the Patriots are 7-1 odds to win the Super Bowl.